There’s no way that struggling single mom Janie Young is going to lose Family Secrets. Not even to Dr. Burke Carter. The prize money and media exposure from the cooking-competition show will secure the future for her and her son, who has special needs. Sure, Burke is a talented chef with his own reasons to win, but he already has so much: wealth, a beautiful daughter, great looks…and definitely her attention. As their families become closer, Janie is beginning to care too much about him. But she can’t afford to get involved. Not when everything is riding on beating him. I really liked this story. It had all the feels that a typical Heartwarming story has. 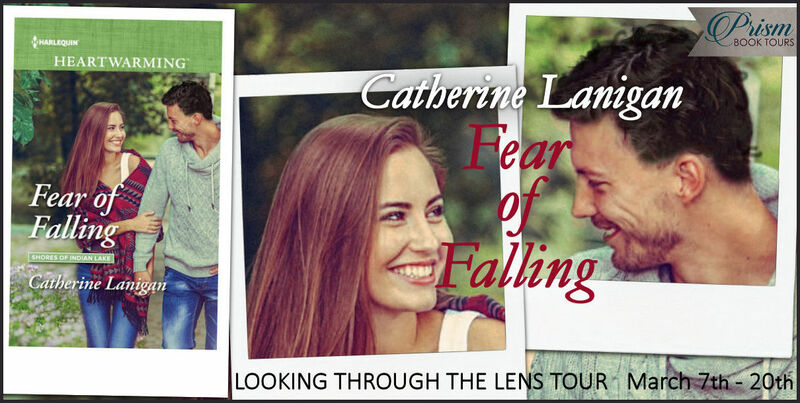 Emotions, family dynamics, a slow build romance and a tightly paced story that anyone could read. Janie and Burke are trying to win a cooking contest. Each has a different reason to win it and I liked that aspect of the book. Janie needed the money and Burke didn’t want to disappoint his daughter Kelsey. I won’t spoil how it turns out but in a way, I was kinda surprised. Janie and her son Dawson will forever hold a special place in my heart. Dawson has Down Syndrome and Janie needs to prize money for his therapies and school. Naturally, she has an ex-husband that hasn’t even met his son. Of course, once she is on television he comes sniffing around. I hate fathers that do that. I have a cousin that has cerebral palsy and my uncle is the best father. Janie never gives up and with the help of her friends Cor and Joe, she has a great support system. Burke and Kelsey have some big secrets that they have kept from each other. I really felt for Kelsey. Growing up without a mother and having to go to therapy AND being 13! No wonder at times, Burke was at his wit’s end. I really enjoyed how the contest and romance built up until the end of the book. Unfortunately, I did have some issues that weren’t addressed. Burke never really totally interacted with Dawson; at least not like Kelsey. Kelsey has a dream with Dawson. They bonded instantly and they helped each other in ways that no adult could ever do. Also, I felt like the thread with Janie’s ex was left hanging. There is some resolution but I felt like it was undone. Also, the ending felt a bit rushed. I would have liked an epilogue but then I had to remember that this is the first book in the series and it centers around the contest and some of the contestants. I’m patient…I can wait. Overall, I loved the book and the characters. 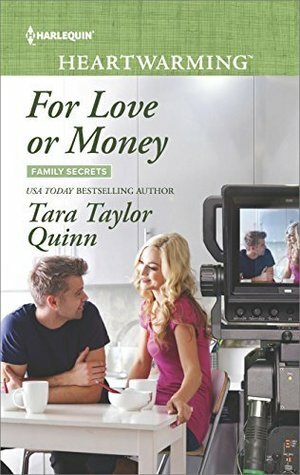 Ms. Taylor Quinn is one of my all time favorite Harlequin authors and she never misses with me. Pick up THE GOOD GIRL for FREE in August from Wattpad! Check out the other releases and events part of this promotion HERE! To Enter: Submit your receipt online for your pre-order or purchase the soon-to-be-released Heartwarming compilation: A Heartwarming Holiday: 15 Connected Sweet Holiday Romances and/or of any of Tara Taylor Quinn’s six releases being promoted on her Heart Stopping Tour (Love By Association, His First Choice, The Promise He Made Her, Strangers in Paradise: Sheltered In His Arms, Sheltered In His Arms Audiobook, and For Love Or Money). Enter as many times as you purchase. One book purchase equals one entry (one receipt or invoice/order number per entry and must be entered at time of entry). 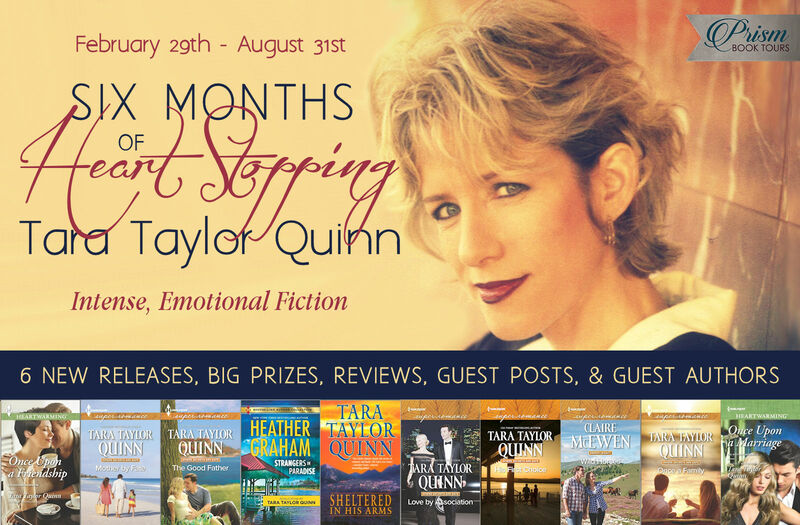 1st Place: 25,000 Harlequin My Rewards Points – equivalent of 5 free books, reader’s choice of any book published by Harlequin/MIRA/Carina Press. Catherine Lanigan is the bestselling author of over thirty published titles in both fiction and non-fiction, including the novelizations of Romancing the Stone and The Jewel of the Nile, as well as over half a dozen anthologies, including “Chicken Soup for the Soul: Living your Dream”, “Chicken Soup for the Writer’s Soul”, “Chocolate for a Woman’s Heart”, Chocolate for a Woman’s Spirit”. Ms. Lanigan’s novels have been translated into over a dozen languages including German, French, Italian, Spanish, Russian, Portuguese, Chinese, and Japanese. Ms. Lanigan’s novels are also available on audio-cassette, CD and on electronic format. A prolific writer, she is always writing wonderful stories. 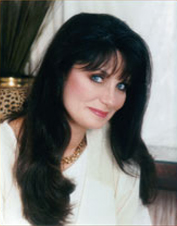 She has several titles only available in ebook format on Amazon.com Several of her titles have been chosen for The Literary Guild and Doubleday Book Clubs. Her novel, The Christmas Star, won the Gold Medal Award Top Pick from Romantic Times Magazine for December, 2002, and has also won Book of the Year Romance Gold Award from ForeWord Magazine as well as Book of the Year Romance from Reader’s Preference. In March, 2006 Divine Nudges: Tales of Angelic Intervention and the second in Lanigan’s Angel Watch series of books, was published by HCI, the Chicken Soup for the Soul publisher. Want to join the upcoming tour? Click on the banner to go to the sign-up! 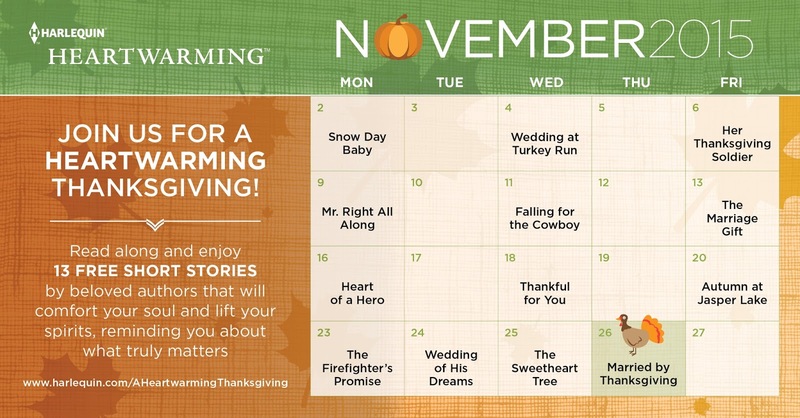 We’re highlighting 13 FREE short stories by beloved Harlequin Heartwarming authors available from Harlequin during November. 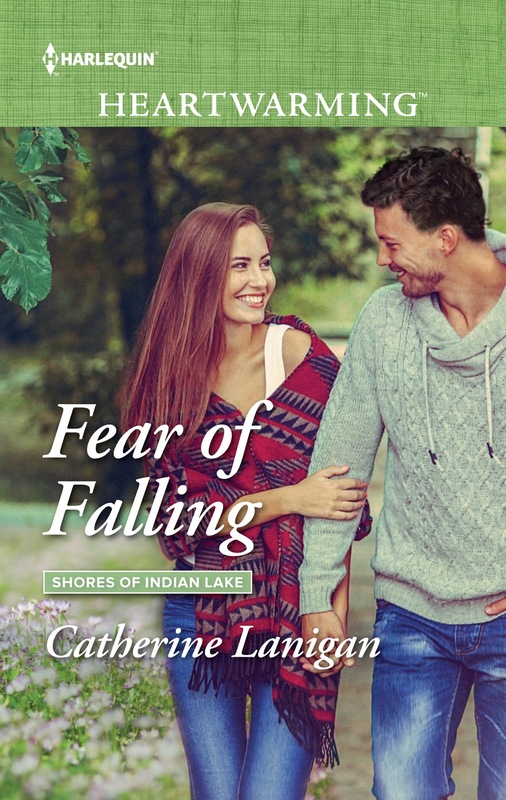 All Heartwarming titles are 30% OFF during November from Harlequin as well! Use code HEART1115. Football star Clinton Hadley has been in trouble with the law once too often recently. When a night out with friends turns into a night in jail, Clinton knows the judge is going to throw the book at him if he doesn’t think of something. Fast. When his single lawyer, Brenda Thomas, mentions the judge goes easier on family men, Clinton decides to get married…to Brenda! Small town Harmony Valley is in trouble. It’s so remote the sagging California economy of the past few years has driven businesses out, and without jobs, everyone under the age of 65 has left town. Three friends return to Harmony Valley and decide to start a winery to save the town from dying with its elderly residents. But those old residents are set in their ways – dare I say quirky? And they’re not shy about letting those young bucks know what’s on their mind, be it how things should be done or the tastiness of a cherished family recipe, like Bananas and Ham with Hollandaise Sauce. I love writing the Harmony Valley series for Harlequin Heartwarming because it brings many of the elements I love in a romance together – small town community, the sometimes outrageous honesty of people over 65, and love stories based on emotional journeys. There is physical attraction between the hero and heroine (and kissing! ), but the love between them is more likely built on the foundation of one soul recognizing another than one perfect body being attracted to another. 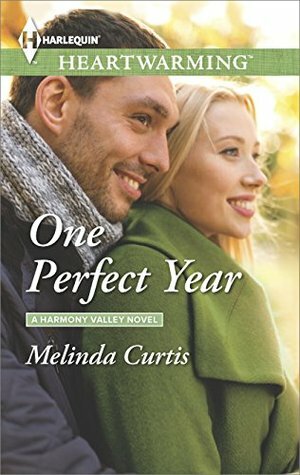 Experience Harmony Valley in two ways this November – in one short story (Married by Thanksgiving) or in installments (A Kiss for the Cook) online this month at Harlequin.com! 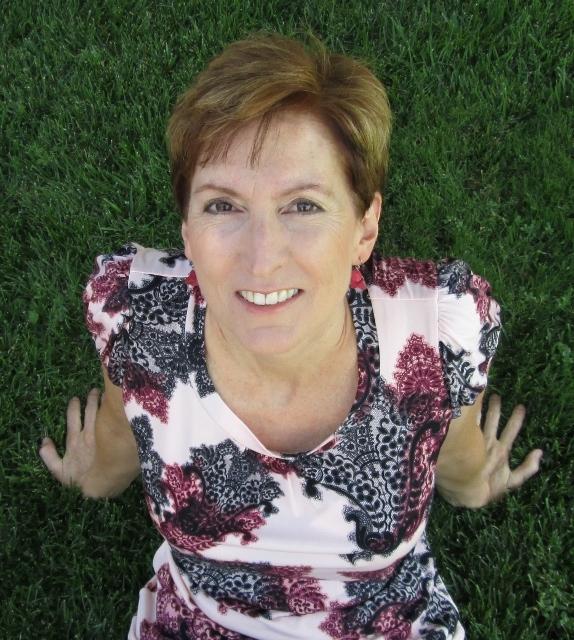 Melinda Curtis is an award winning, USA Today bestselling author. 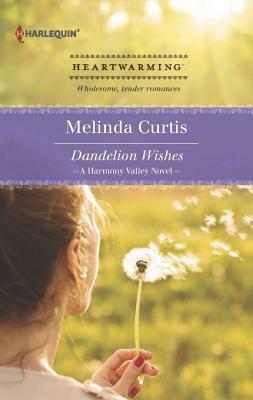 She writes the Harmony Valley series of sweet, light-hearted romances for the Harlequin Heartwarming line. 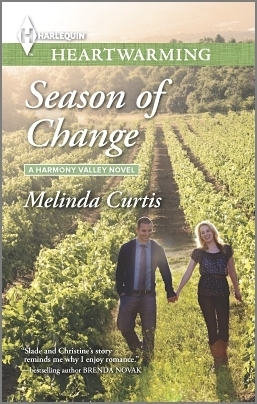 Brenda Novak says: “Season of Change has found a place on my keeper shelf.” Melinda also writes the sweet romantic comedy Bridesmaid series. 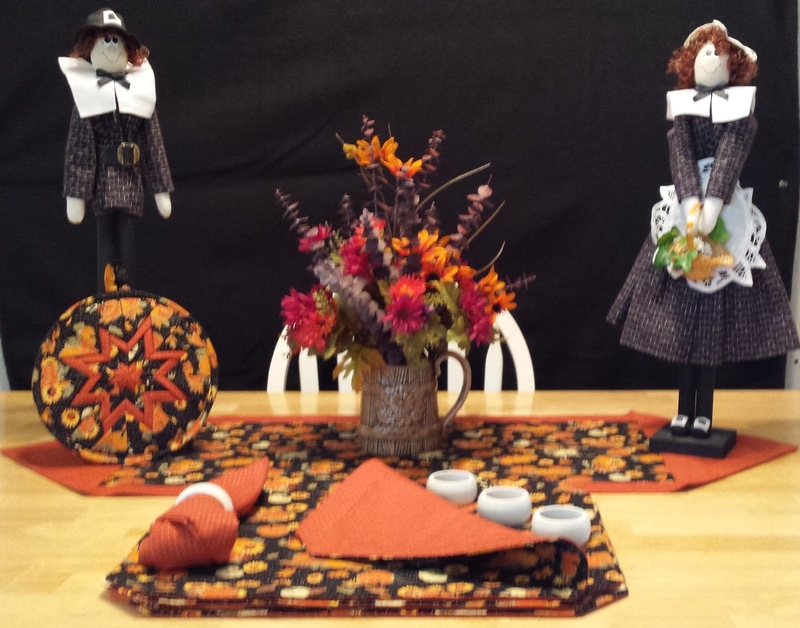 Pinterest Prize includes: four reversible, quilted placemats, four matching napkins, hand-painted matching napkin rings, matching table runner, matching quilted hot pad/trivet, floral centerpiece in pot, and hand-crafted pilgrim pair.